Mismatched colors are often not evident until the paint is on the walls, and the results can be disappointing. 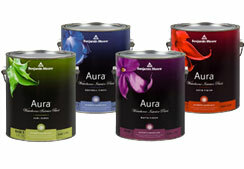 Competitors may claim they can match Benjamin Moore® colors, but the truth is that they can’t. 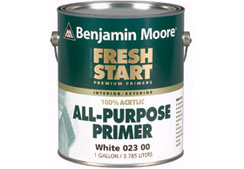 Benjamin Moore Authentic Color - You can only get true Benjamin Moore colors using Benjamin Moore paint. The reason lies in the manufacturing process. 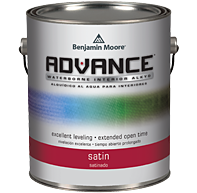 Benjamin Moore paints are created using proprietary colorants and resins and formulated with patented waterborne technologies. This highly controlled system ensures the quality of Benjamin Moore paints and the purity of the colors. When a competing store offers to match a Benjamin Moore color, their scanner simply provides its “best guess” for matching the color using another paint, generic colorants, and a different tinting system. While the color may come close, the final result is not the color you spent days or weeks deciding upon. In other words, it’s a knockoff. Be sure that the color you pick is the color you get. 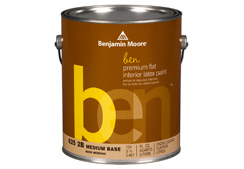 Authentic Benjamin Moore colors are available only at your local Benjamin Moore retailer. 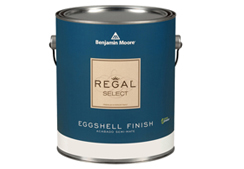 The newest in our time-honored line of premium paints, Regal Select has been infused with our cutting-edge waterborne technology for smooth application and long durability. Washable and fade- and mildew-resistant, Regal Select paint always delivers beautiful results you can count on. 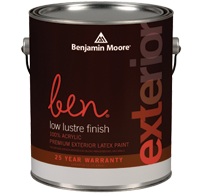 ben offers great value with all of the performance qualities you expect from a premium interior and exterior paint from Benjamin Moore. 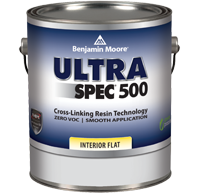 Ultra Spec is a professional-quality interior coating designed to meet the needs of professional painting contractors, facility managers, and property managers. Available in a wide range of sheens and unlimited colors, professionals will appreciate its excellent hiding and touchup properties, good flow and leveling, easy application, and soap-and-water cleanup. © 2012 ACE Hardware Johns Creek. All Rights Reserved.